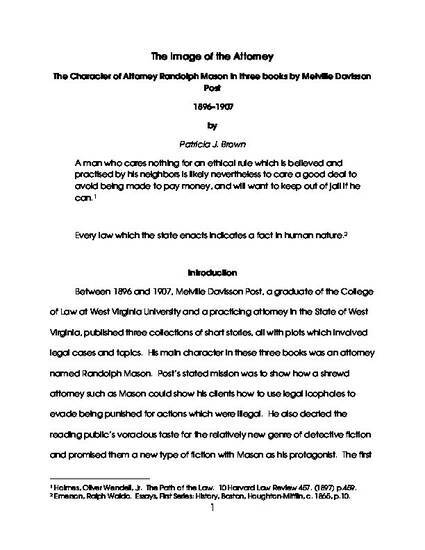 Summary In 1896 a young attorney practicing in West Virginia, Melville Davisson Post, wrote a book entitled The Strange Schemes of Randolph Mason. His stated mission in this book was to invent a new type of story to compete with the currently popular genre of the detective story. His stories would show how a criminal, even if detected, could escape punishment by using loopholes and schemes available in the law. The criminal, not always able to find these loopholes himself, would be guided by a legal misanthrope, an attorney named Randolph Mason.  Post wrote two books using this motif and then ten years later, a third book in which Mason had changed from an evil attorney to a crusader for justice for the victim. The motivation for this transformation seemed to be based not upon a new view of the law or the lawyer but upon demands by a new publisher. The image of the attorney, Randolph Mason, was unique in the history of legal fiction and the abrupt transformation of his character, based solely upon remuneration to the author is similarly unique.